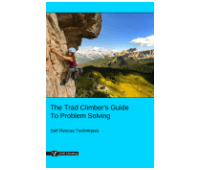 'Advanced Trad Anchors' is part of the e-book - The Trad Climber's Guide To Problem Solving. 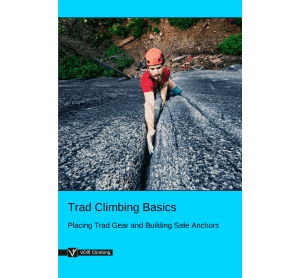 In Trad Climbing Basics, we introduced various methods of creating belay master points by tying an overhand knot in a sling or cordelette. 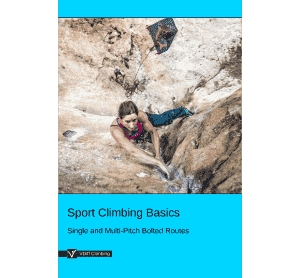 These methods are safe, simple and perfect for most situations that a beginner trad climber would find themselves in. 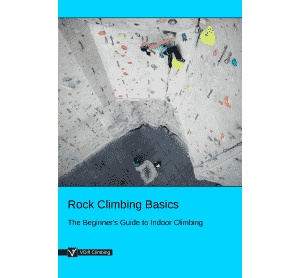 However, they have drawbacks in more complicated belay setups. 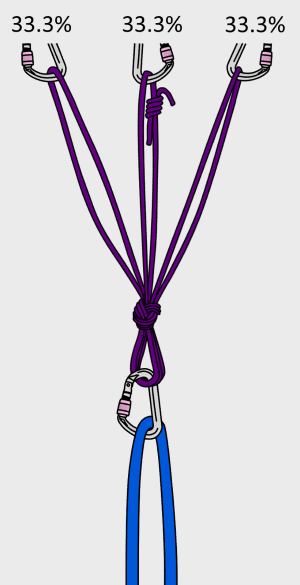 The main problem with the overhand knot is that it does not spread the load equally between the pieces, especially if one strand is short, or if the loading direction changes. This uneven distribution of force could mean that all of the force is applied to the poorest piece of the anchor. When loaded directly downwards, each piece of this anchor will take 33.3% of the load. 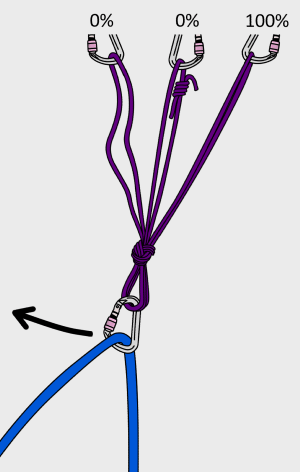 If the loading direction changes (e.g; the climber moves to one side and then falls), 100% of the force will go onto one piece. This could cause that piece to fail. 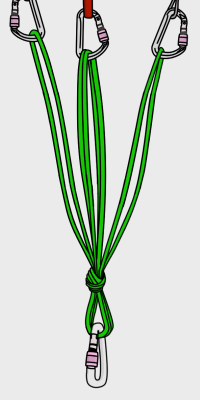 If one strand of the cordelette is much shorter than the others, more force will be applied to the short strand when weighted. This is because a short strand reaches maximum stretch before a longer strand. These concepts are easier to understand if you imagine how elastic bands would stretch in these situations. The same is true for dynamic rope. More force is applied to the top bolt in this case. A double strand of cord (or rope) stretches less than a single strand when weighted. While this is a good method of equalizing pieces which are far apart, more force is applied to the right piece in this anchor. In this anchor, the strand of cord on the center piece has been doubled up to keep the master point higher. Because of this, more force will be applied to the center piece when weighted. Similarly, more force is applied to the upper two pieces in this anchor. Getting perfect equalization is not so important for most situations when each piece of the belay is bomber. 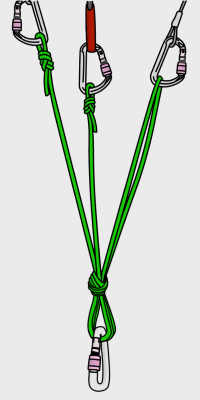 In most cases, the variations of the overhand knot method described here are fine. 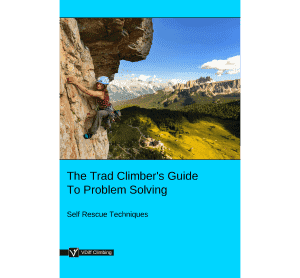 However, in more tenuous or complicated belay setups, a self-equalizing method could be much safer.